Find information that was in an old hand-written note from a college class you had 10 years ago…. Instantly. From your cell phone. 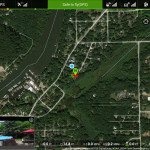 Locate all pictures you’ve ever taken that included a dog – without ever manually specifying that the picture contained a dog! Quickly see all pictures of your great-grandmother, even her baby pictures, all without having to waste time tagging photos. Type a month and a year into Google search, and instantly pull every single piece of mail received during that time. I’ve outlined the process I’ve been using for almost 8 years below. There are some alternate ways of scanning these days: iPhone apps where you just take a picture using your phone, for example. But I have found that to consistently get uniform and quality results, a desktop scanner is still the way to go. I also believe it is much faster to use a scanner if you have stacks of documents. The scanner listed above can scan the front and back of about 40 pages at a time. That would take forever on an iPhone! A good duplex scanner. 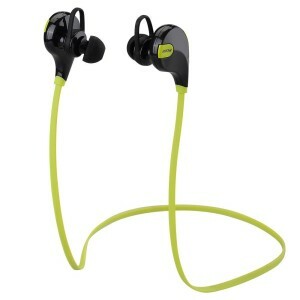 This is the most expensive part, but will pay for itself over time, and with a gentle touch, will last for many years. I use (and recommend) a Fujitsu ScanSnap. A solid shredder (or a secure shredding drop-off service). A rubber “SCANNED” stamp – this seriously comes in handy! A free Google Account. We are going to use Google Drive to store your files in the cloud. 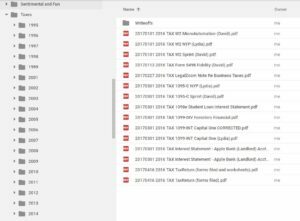 There are other services available, such as DropBox, OneDrive, or Evernote, but this tutorial will focus on Drive, because I’m very familiar with some of the undocumented “gotchas” when it comes to searching documents in Drive. We will also make use of Google Photos to store and organize our photos, and its nice to have everything on one service, right? 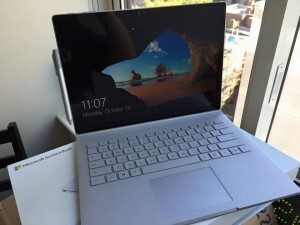 For Now, just bookmark drive.google.com and photos.google.com. 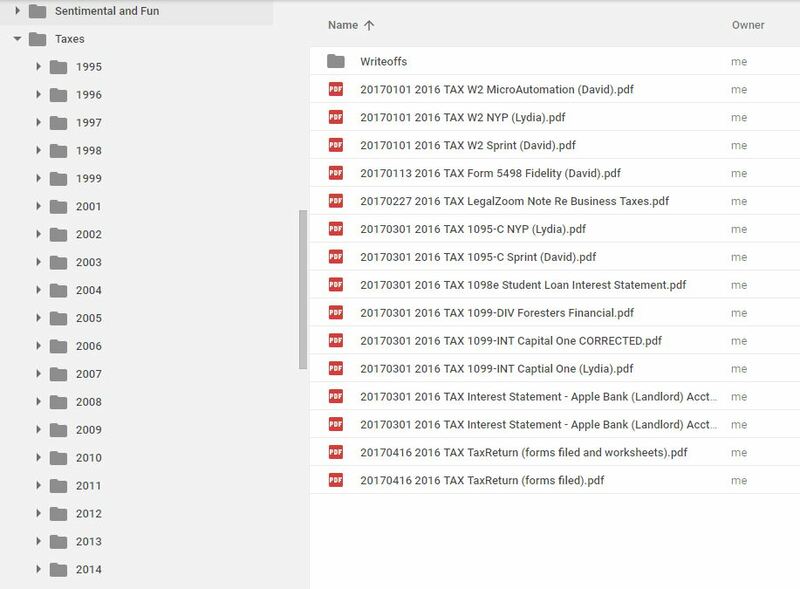 For documents, there are two things we need to work out before getting started: our folder structure and our file name convention as they will be stored on Google Drive. This is the hardest part, so don’t skip ahead until you’ve really digested this. While most of this process can be adjusted and “figured out” along the way, screwing up your organization strategy is a royal pain to fix later. Option A: Skip folder organization altogether (not recommended). Simply rely on good filenames and searching the text within the document. When you first open your Google Drive account, there wont’ be any folders listed. BUT Google has since changed how this works, and does not search within contiguous blocks of text. In other words, the search of “200805” will not result in anything now (unless it was found within the document). This format allows searches like “2008 05” to find all May 2008 documents. Use the ScanSnap manager / button on the scanner to scan an indexed PDF, name the file properly in ScanSnap interface. Once file is saved to disk, I open it in Adobe acrobat to make any adjustments – including deleting blank pages, fixing the orientation of some pages, etc. Save file again. Once I am done scanning for the day, I use the Google Drive web interface to upload the files. I move the uploaded files off into an archive directory that I keep around for a few months before deleting. Last I checked, Google won’t index PDF files larger than 10MB. Adobe Acrobat has a nice feature which allows you to split a PDF by size. When scanning in a large document or notes from a class, I first make the monster PDF, then break it down in MB chunks, and then upload both versions. Organize your pile of documents before scanning. Scanning single papers at a time is a real time killer. Keep your scanner oiled – you also may need to replace the rubber roller feeder after your first 100k sheets or so. I recommend using the Google Drive web interface to upload your files. After a near disaster using the Google Drive windows application, I’ve grown to distrust any sort of synchronizing mechanisms when it comes to huge libraries of files. Moving around thousands of files (or renaming folders) on physical disk could possibly take a long time. Trying to sync to Google while that file copy or move operation is in flight is a recipe for disaster. Google will think half of your files are gone, and creates a real mess. This entry was posted in How-to, Informational, Internet and tagged Digital Life, Scanning on December 27, 2017 by David. 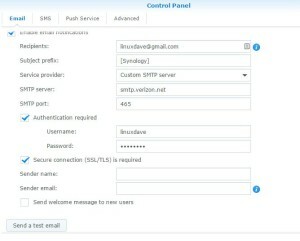 If you have Verizon FiOS and a Synology NAS, these are the settings you’ll need to relay mail through the Verizon SMTP server. Also see the important notes below! 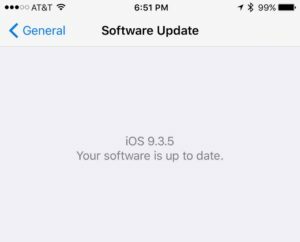 This set up will fail with authentication errors if you do not have an @verizon.net email address set up associated to the username supplied. 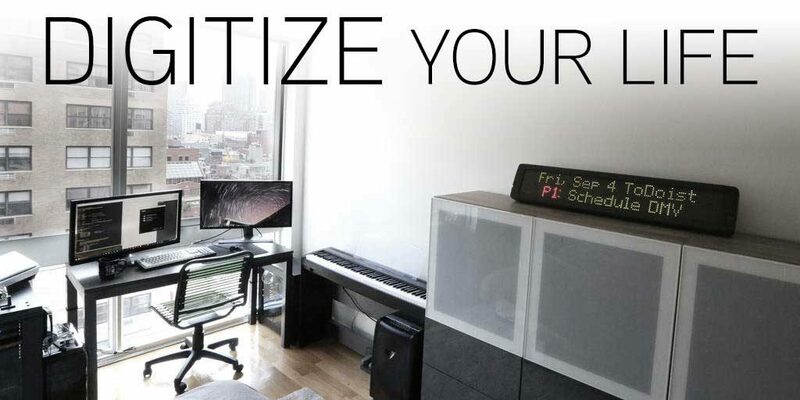 The first thing you need to do is to go to the MyVerizon dashboard, and create the address from there. 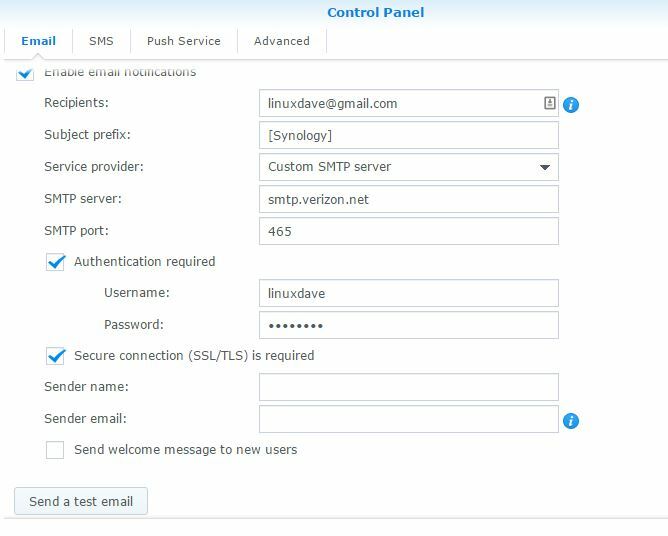 This caused me a few hours of troubleshooting, as I had already created a verzion email, but I did NOT do it from the MyVerizon dashboard, which causes auth hits to the SMTP server to fail for some reason. Once I re-“created” my @verizon.net email, the authentication for mail relay starting working instantly. For security purposes, I would recommend creating a “sub-account” on the MyVerizon dashboard, generate an email account associated with it, and then use that user/pass combo for mail relay instead of your main billing account. Despite what older forum posts across the net say, these settings can be used to send mail from any address (does not have to be @verizon). No need for the outgoing.verizon.net server… just use smtp.verizon.net. 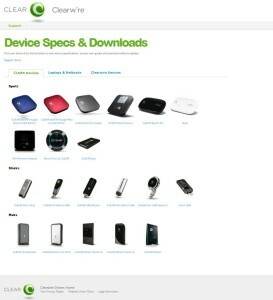 This entry was posted in Synology NAS and tagged Synology, Verizon FiOS on August 10, 2015 by David. The Phantom 3 quadcopter may look nearly identical to DJI’s previous Phantom 2 model, but these two devices are worlds apart. 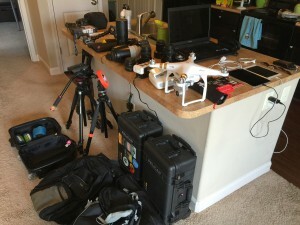 I’ve owned the Phantom 2 for well over a year, and have had the Phantom 3 since April 2015. I’ve travelled the world with both of these drones and have many hours of flight time into both models. 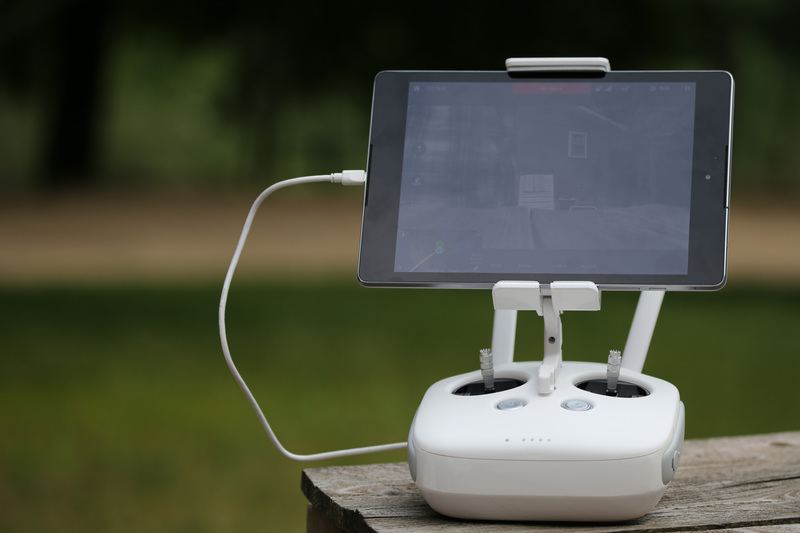 The Phantom 2, for the most part, has felt like an experimental product. Phantom 3 feels like the future. About the author: My passion is photography and videography. I have never been interested in any kind of remote planes / multicopters before getting my hands on a Phantom drone. While there may be better/faster drones out there for the multicopter or RC enthusiast, I am writing this review from the viewpoint of an amatuer photographer. 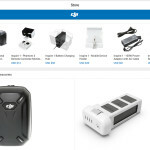 I have no affiliation with DJI. 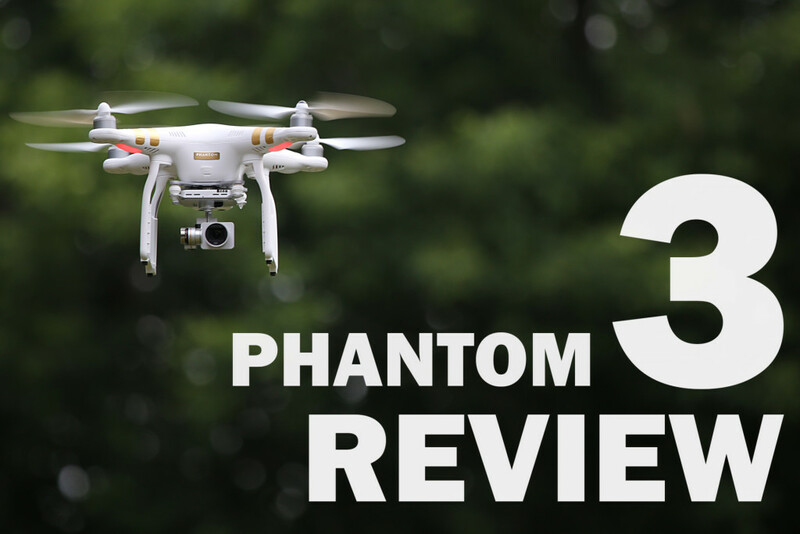 What makes the Phantom 3 so different? 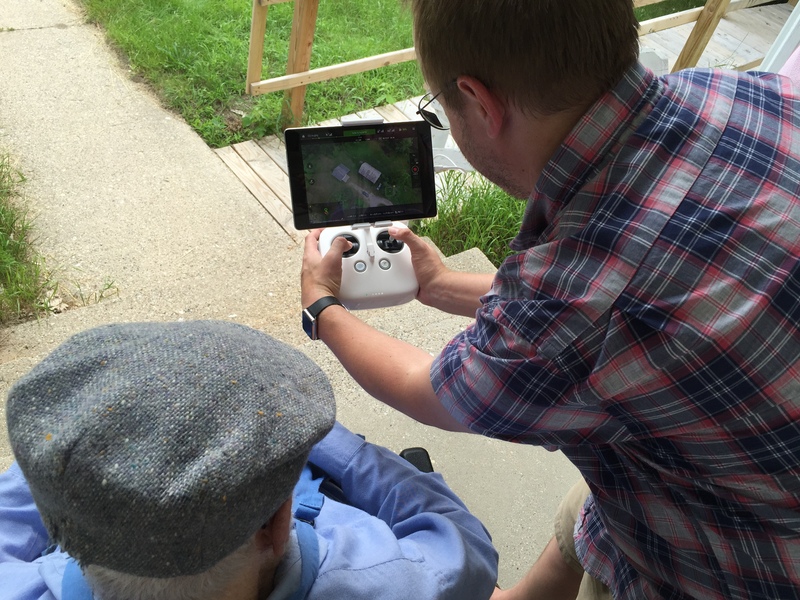 Over the 4th of July weekend, I was able to show my 94-year old grandfather his property from 1000 feet in the air – in real-time 720p resolution. This image so perfectly sums up what I love about this drone: Out of the box, this thing is amazing. Yes, there are many ways to do a live-view with the Phantom 2 or other drones, but DJI has this working out of the box on the Phantom 3. You just supply your own tablet (The Google Nexus 9 shown in the picture is my preferred choice). 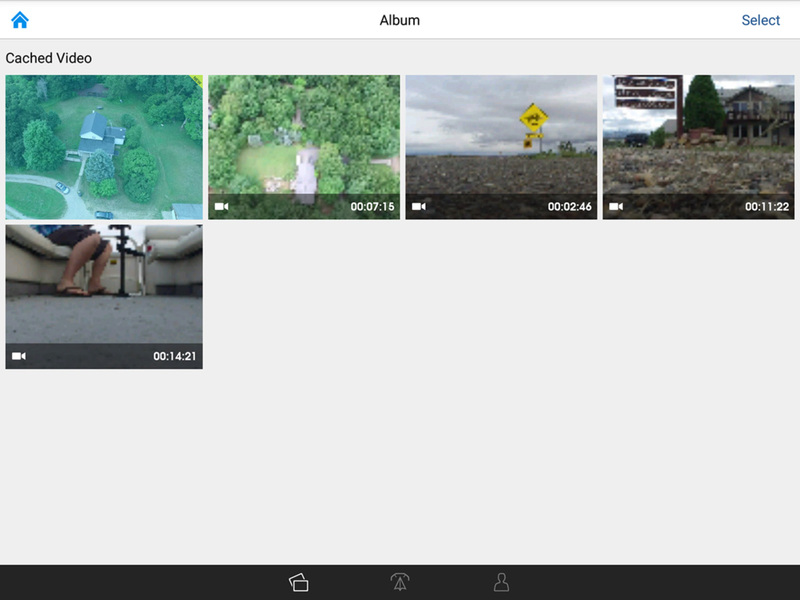 The streaming works incredibly well: I’ve flown the drone from indoors, from behind buildings, and even while in a moving vehicle travelling at 40 mph down a mountain road… and everything just works. 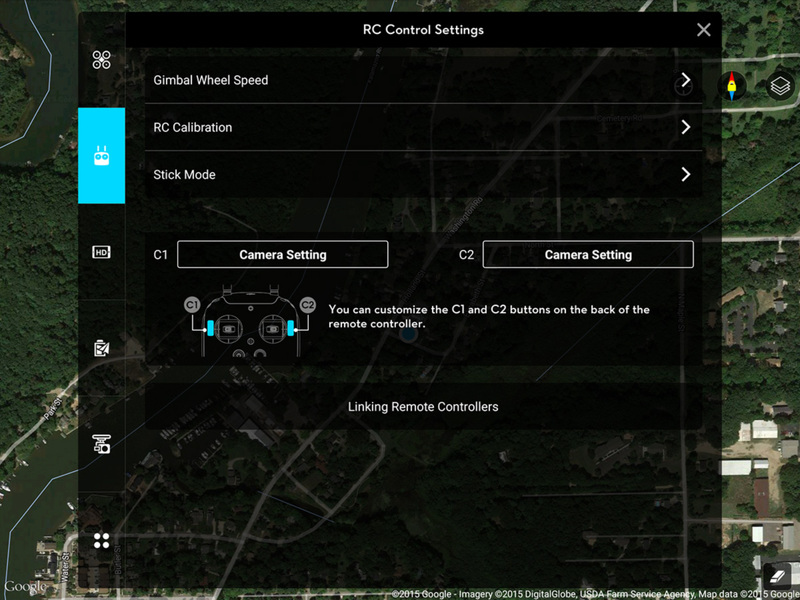 The Controller – Now with HD Live view! Flying the Phantom 3 is a blast. Within 30 minutes, any adult that has ever played a video game will get the hang of the controls. 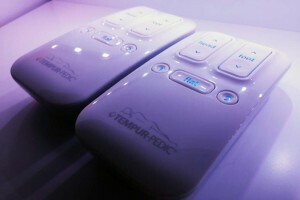 In addition to the flight sticks you would expect, the controller also has a dial to control the angle of the video camera in real-time, among other customizable buttons. The previous Phantom 2 had this camera angle slider/dial as well, but it was difficult to keep calibrated, and the sliding mechanism was inaccurate. The only way to know where the camera was pointed on the Phantom 2 was to bring the drone back down close enough to see the camera. This entire situation is resolved with Phantom 3’s live view. 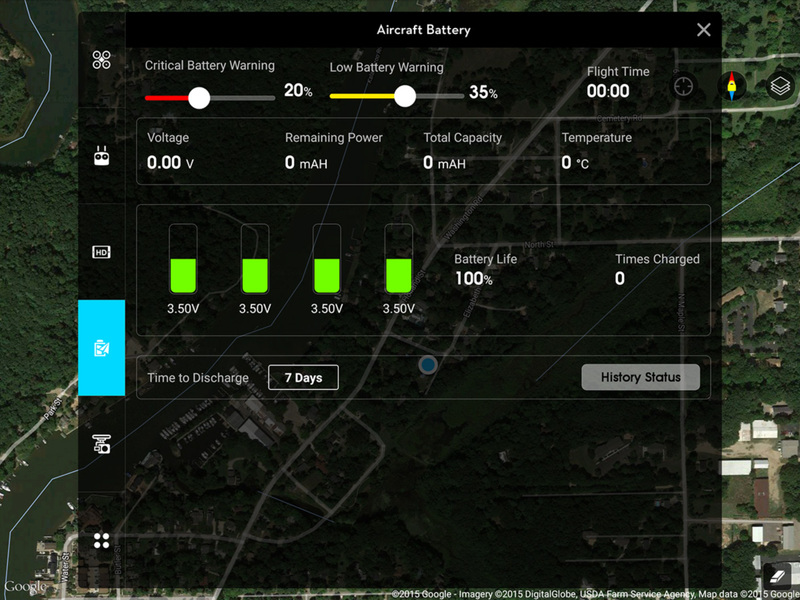 The controller has a built-in battery that uses the same battery charger used by the drone LiPo batteries. 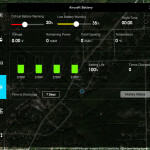 One minor annoyance is that DJI does not recommend charging both the controller and a drone battery at the same time. 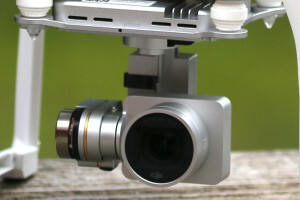 The cord is split out to make this possible, but for some reason DJI advises against this. But in the last two months I’ve only had to charge the controller twice – not a big deal. If you don’t own one of these devices, you’ll need to buy one to get the most out of the drone. While the iOS app seemed to work okay on my iPhone 6+, I loved the extra screen space provided by the Nexus 9. Maybe I’m just getting old, but mobile apps these days on both iOS and Android seem less stable than most traditional desktop applications. 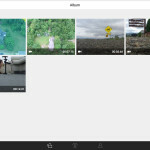 So when I heard the Pilot app was going to not only feature a live 720p video stream and flight tracker, but also have a fully functional video editor built in, I almost didn’t even want to pull the trigger. “There’s no way this app is going to be anything more than a bloated, unstable pile of crap”, were the words that came out of my mouth when I found this out. Fortunately, I’ve never been so wrong. This app is the most impressive mobile app I’ve ever used. DJI absolutely nailed it. 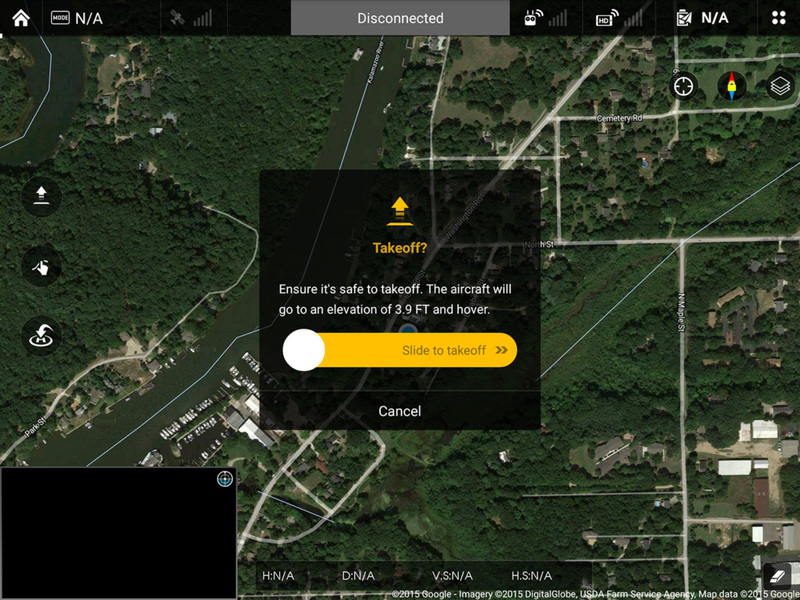 Flight Mode has two different views – a map-centric view, and a camera-centric view. 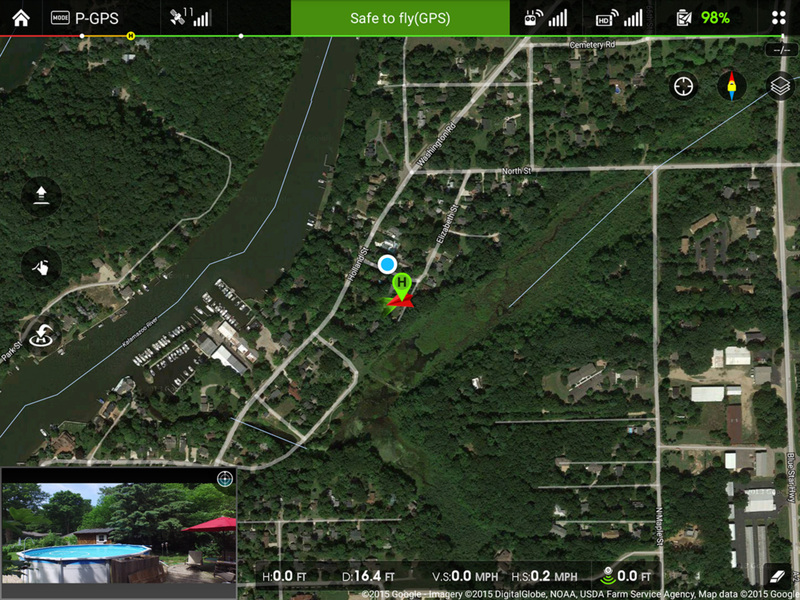 The map won’t help you much if you are somewhere without a cell signal or wifi. 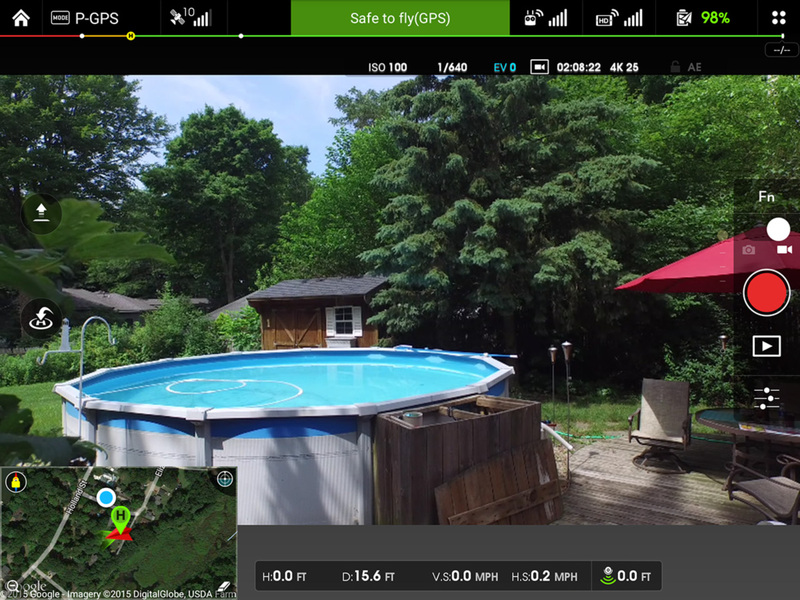 The memory card onboard the drone captures video in 4k, but the app does a fine job of capturing the live feed from the drone directly to the mobile device (albeit, in 720p). 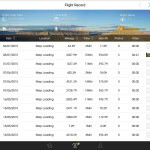 This means that there is a cached video of your flight on your tablet or phone as soon as you are done flying. Using the Director, you can then choose clips and some background music and within 10-15 minutes, have something fancy to show whoever is around. I can not express how cool this feature is. 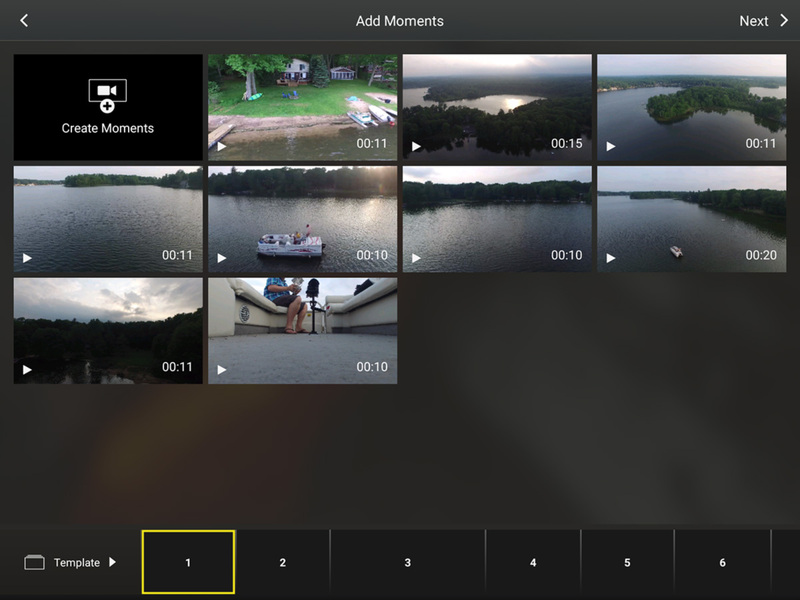 The templates provided in the Director app are limited, and you won’t be making anything “professional” without a real video editor, but you can show off your shots in style if you’re just buzzing around your friend’s house. At first I wasn’t thrilled about getting an integrated camera. I like being able to easily swap out the GoPro on my Phantom 2. But once again, DJI surpassed my expectations with this powerful camera. The resulting videos are clear, vivid, stable, and just amazing to watch on a 4k display. 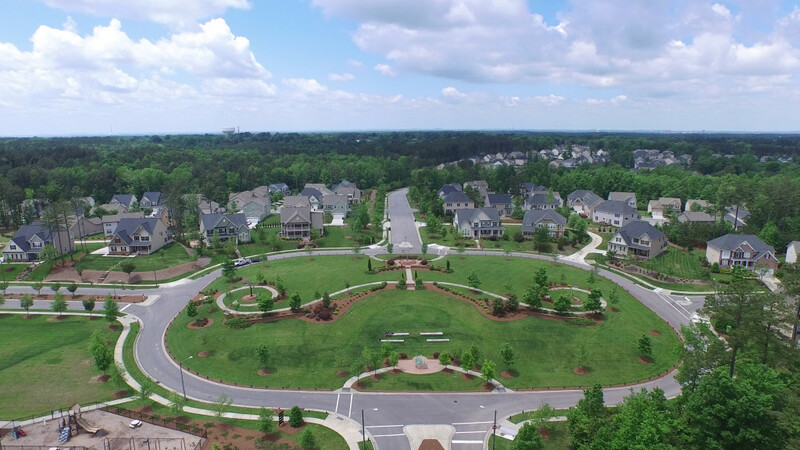 Although you can take both stills and video from the app while in flight, the picture of my neighborhood above is actually a still frame from a 4k video. The 12 megapixel camera on board shooting in 4k on the Professional version, and 1080p on the Phantom 3 Advanced. The Professional version sports a f/2.8 lens with a 94⁰ viewing angle. The first thing I noticed is that the distortion you usually see on GoPro cameras didn’t exist. The horizon appears flat – very different than that signature GoPro curve. 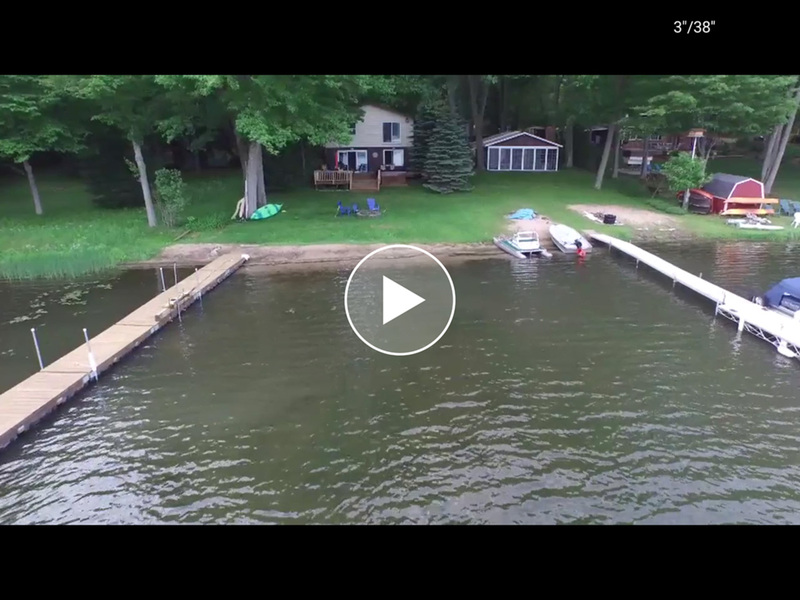 Compared to my Phantom 2, the video footage I get out of the Phantom 3 is much more stable. The gimbal does such a nice job stabilizing that long-exposure shots are possible from mid-air! Just because you CAN do something, doesn’t mean you should. I feel like this still applies to one of the top features being marketed with the Phantom 3 Pro and Advanced: Vision Positioning. The Phantom 3 has a new camera and ultrasonic sensor facing the ground so that it may track its position without GPS. It looks for patterns on the ground! Yes, this means indoor flying. But just because you can fly this thing indoors, why would you want to? The DJI commercial shows a wedding being filmed with a drone in a church. 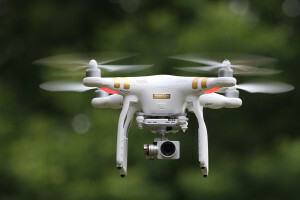 If you’ve ever heard a Phantom drone flying above your head, you’ll understand why the idea of using this (admittedly cool) technology in a church is laughable. My experience with vision positioning so far is limited to my living room, and it probably won’t go too far beyond that. I’m sure there are use cases out there for some of us, but I’m guessing most of us won’t be flying a drone through a church anytime soon. The Phantom 3 Pro has changed the way I take photos and shoot video. Getting out the drone is no longer a chore, and being able to see what you are filming in real time while whizzing down the highway in a car makes me feel like some kind of wizard from the future. Paying between $1200-$1400 bucks for a tech gadget on the surface seems steep, but with the awesome 4k camera, gimbal, controller, and the crazy robust apps for the smartphones, I see the value. I consider this purchase as one of the best I’ve made in the last several years — Especially considering this was the cost of the Phantom 2 at release. 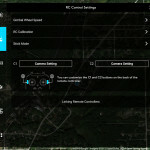 4k video with setting that you can control while in flight. 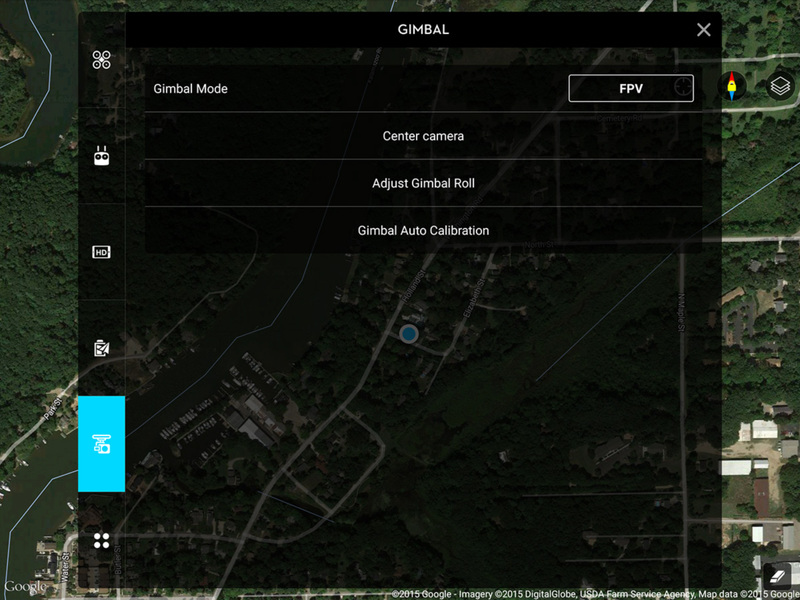 The 3-axis gimbal seems more stable than anything I had on Phantom 2. 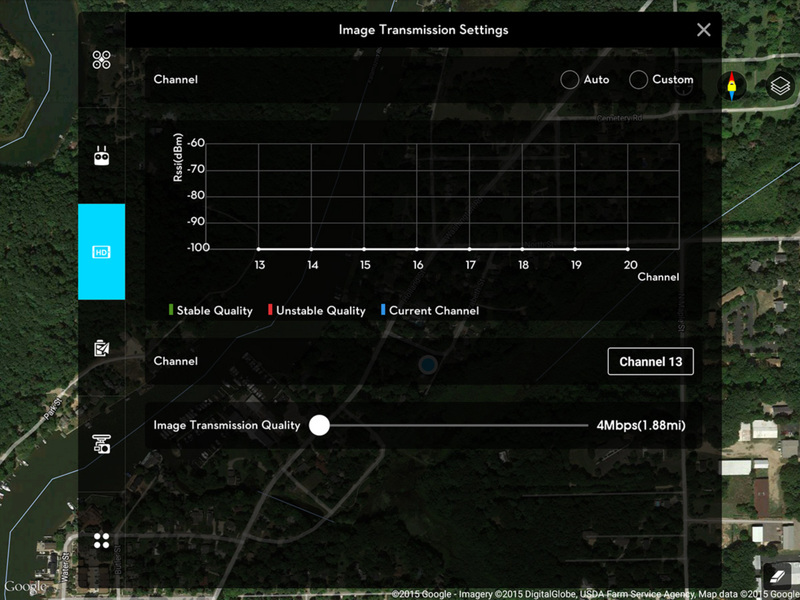 HD real-time video from your drone from up to a kilometer away – changes the way you film. 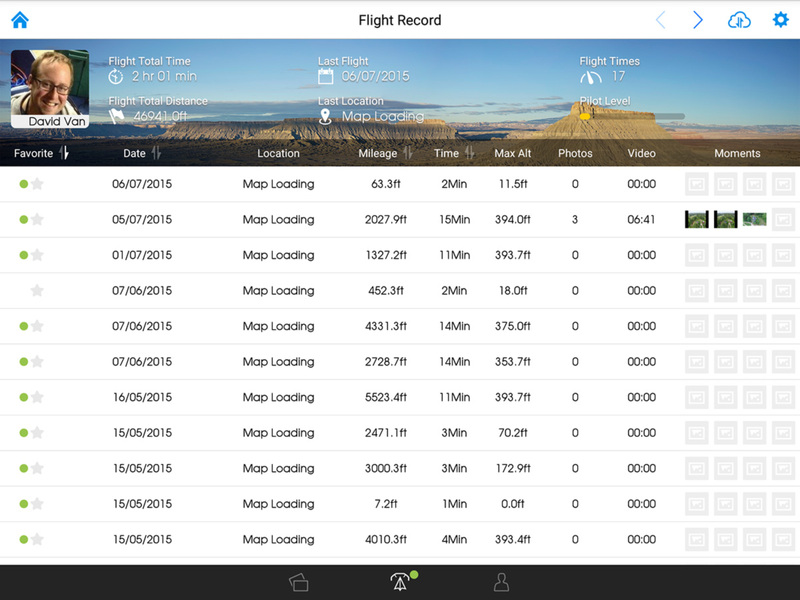 The mobile app for flying, tracking, and editing your video is top-notch. 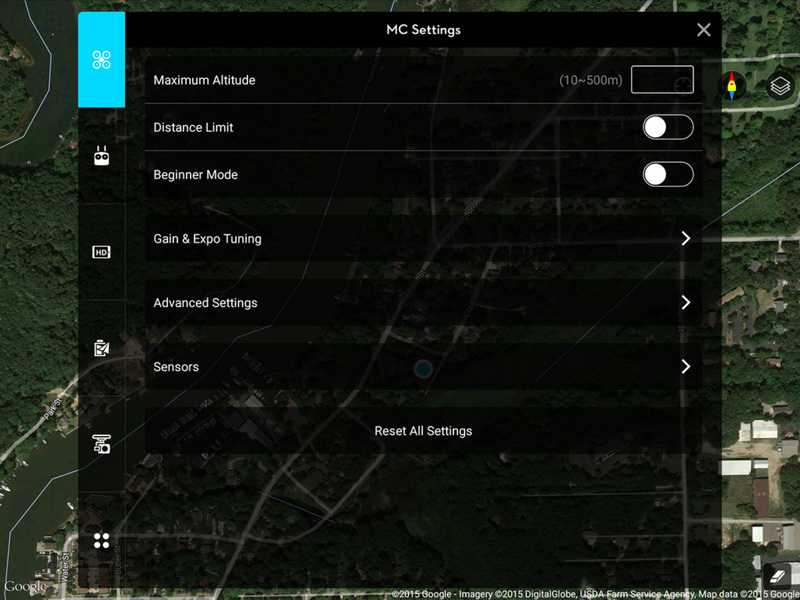 SDK – Develop your own applications and automation for the drone! 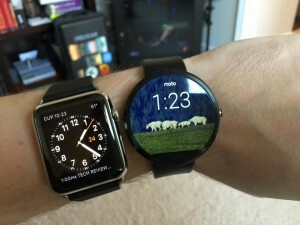 The battery life is still about 20 minutes, and extra batteries cost $175 – ouch. The safety features may be an annoyance to some. There are a lot of things that could go wrong on an automated flight home. Updating firmware (as of July 2015) is kind of a pain. 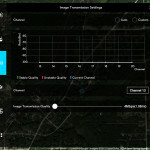 DJI has this market cornered – with good reason. The Phantom 3 Pro is an amazingly polished piece of technology. 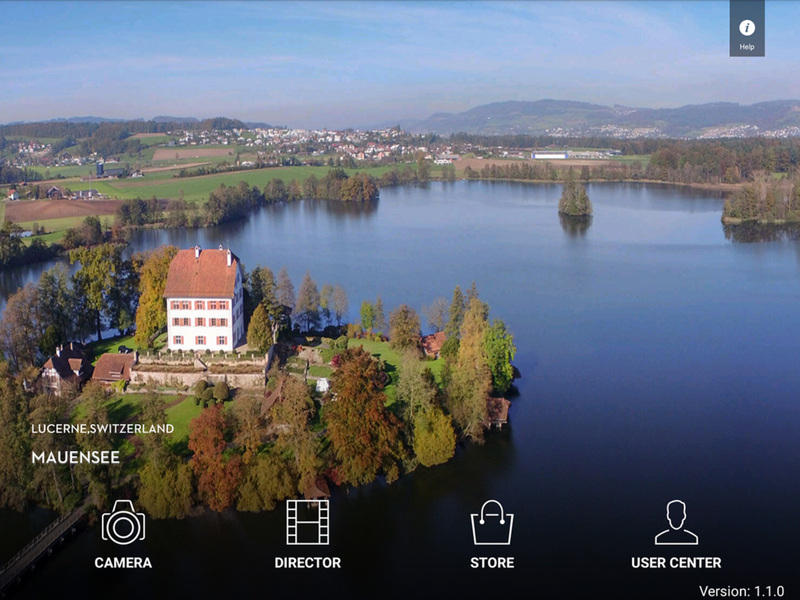 So if you’re looking to add some excitement to your vacation (and your vacation videos)… and want a reliable experience out of the box, go with the Phantom 3. 64 GB MicroSD 80MB/s speed Memory Card ($64 each) – Careful here. It may be tempting to go for the $24 version of this card, but you will have issues recording 4k video to slower speed cards. 48/Mb/s is not fast enough. 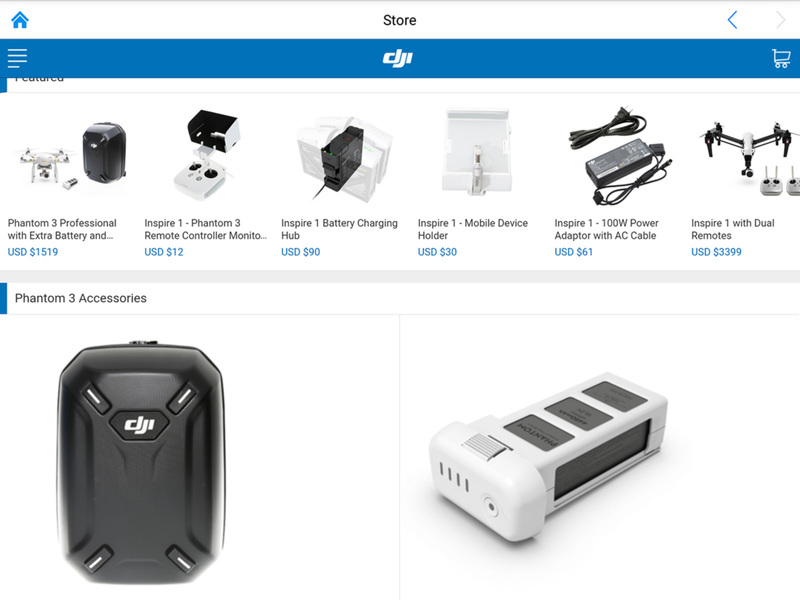 This entry was posted in Drone / UAV, Gadgets and tagged DJI, Drone, Phantom 3, Quadcopter, Review on July 8, 2015 by David.